Youth involved in the Jones County Safe and Healthy Youth Coalition recently conducted a survey with 574 of their peers (9th-12th grade) from Anamosa, Monticello, Midland and Olin High Schools regarding tobacco use. Jones county youth indicated they most often use tobacco or chew because their friends use it (17% of respondents). Other popular reasons for using tobacco or chew included reasons like, “to be grown up” and because “parents do.” Jones county youth were asked why they continue to use tobacco or chew. They most often said that they continue to use because they are “addicted.” In school, kids stated they use chew most often in the “parking lot” (42%) and in “class” (31%). Outside of school, kids most often used chew “in the home” (18%). Most youth were getting their tobacco from legal age friends and/or parents. Kids say they most often see other family members smoking and most often see their friends chewing. In Iowa, there are roughly 231,000 kids per year exposed to second-hand smoke. Changing the Jones County youth perception about smoking is difficult since there is an estimated 102 million per year spent marketing tobacco in Iowa. One reason our youth gave for smoking is because they saw someone else use tobacco or other chew. This likely means that there are youth who are exposed to secondhand smoke in Jones County. Smoking around others is a choice made by adults. Among current Iowa smokers in middle school, 92% were in the same room as another smoker in the past 7 days, while only 37% of non-smokers in middle school were in the same room as a smoker in the last 7 days (from 2008 data). Secondhand smoke is also harmful to young children, causing lower respiratory tract infections in children under 18 months of age. Secondhand smoke is also responsible for hundreds of cases of sudden infant death syndrome (SIDS) in the United States each year. 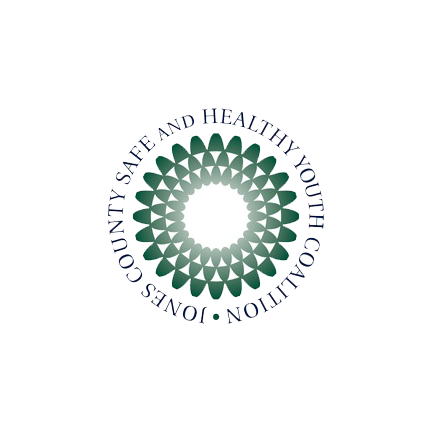 The Jones County Safe and Healthy Youth Coalition would like to challenge Jones County adults to resist using tobacco products around anyone under the age of 18. Committing to this change can make a huge difference on whether our children decide to use tobacco. It will also make a difference for the health of our children, preventing them from exposure to secondhand smoke. If you would like more information about how to quit smoking, contact Quitline Iowa (1800-Quit-Now) for free, confidential tobacco cessation services. CDC, “State-Specific Prevalence of Cigarette Smoking Among Adults, and Children’s and Adolescents’ Exposure to Environmental Tobacco Smoke – United States, 1996,” Morbidity and Mortality Weekly Report (MMWR) 46(44): 1038-1043, November 7, 1997. Iowa Department of Public Health.